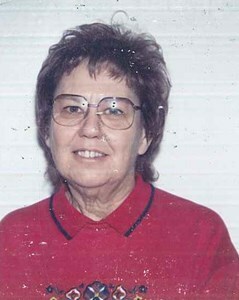 Dorothy Jean Miller, 74, of Baldwinsville, passed away November 3, 2018. Dorothy was born in Fulton, New York on June 18, 1944 to the late Thomas and Mary Bradford. She is survived by her husband, Jack Miller; and two cousins, Patricia Ponzi, and Vicki Fowler. She was an animal lover and leaves behind her beloved dog Jake. Family and friends may call on Thursday, November 8, 2018 from 4:00 pm-6:00 pm at New Comer Cremations & Funerals - North Syracuse, 705 N. Main St, Syracuse, where funeral services will be held at 6:00 pm. Memorial contributions may be made to HumaneCNY. To share a memory of Dorothy or leave a special message for the family, please click the Share Memories button above. Add your memories to the guest book of Dorothy Miller. Do not cry, she's only away, gone to heaven forever to stay. She left her earthly life one sunny day when angels took her away. She now lives in the land of heavenly bliss, plays in fluffy clouds and golden mist. She flys down the milkey way on gossimer wings, listens to an angel choir as they sing. Dorothy is at peace now, and lives with our Lord. There she'll dwell forever more. -until then, SHE'S JUST AWAY. You have wonderful memories that you will cherish forever. Please know that our thoughts and prayers are with you at this difficult time.